Recently, M3 had the pleasure of visiting with Jackie Zeigler, a healthcare administrator and clinician, who – alongside her husband, Dr. Neal Zeigler – now operate a health and humanitarian services organization called MPACT FOR MANKIND. 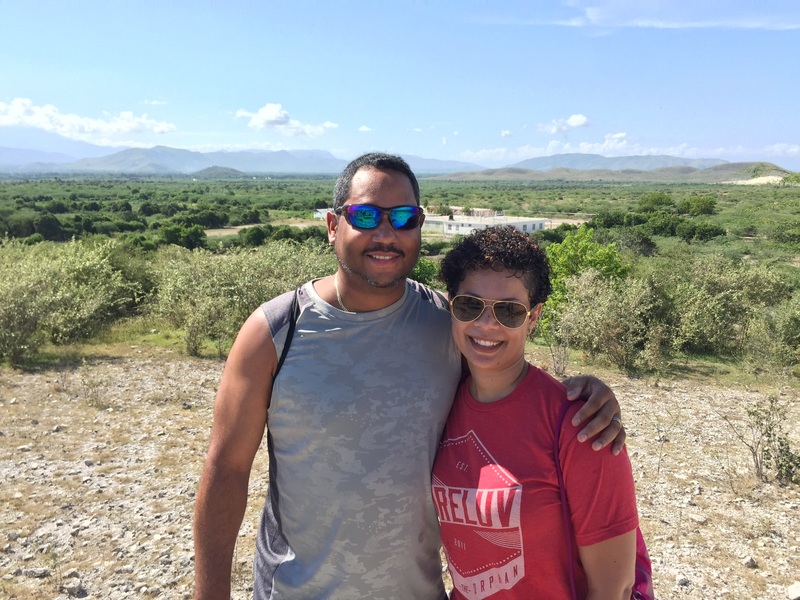 The Zeiglers have recently volunteered with Coreluv International after connecting with them at the 2017 M3 Conference and hope to partner with the organization moving forward to enhance the healthcare services available to the people of Haiti. We always love to hear about how M3 has impacted our conference attendees. Our hope is that everyone who attends M3 is touched in a positive way and leaves encouraged and with a clearer understanding of what they are called to do. Jackie spoke with us a few weeks ago to share her and her husband’s story. In February 2017, Jackie attended the M3 Conference with the goal to get as much information as possible in the area of medical missions. Leading up to the conference, she and Neal had been contemplating either joining a mission focused organization or starting one of their own. Neal was unable to attend, so Jackie set off to experience the conference for the both of them. Jackie shared how much the speakers’ testimonies inspired and informed her, and it gave her confirmation that she and her husband were on the right track. When visiting the Exhibit Hall of the conference, what first attracted Jackie to Coreluv’s booth, out of all of the other exhibitors, were their t-shirts. She bought the t-shirts for her and her husband and also took copies of their organizational information. She continued visiting exhibitors and collected many other pamphlets and information given to her at the different booths. A couple of weeks went by before she decided to finally sit down, spread out all of the information she had collected at the conference, and process next steps. Once again, she felt drawn to Coreluv and started to read more about them. Jackie said the more she read about Coreluv, the more she realized that their mission was exactly what they had been looking for. Coreluv’s primary purpose is to bring the love of Jesus Christ to orphans around the world. To do this, they provide safe shelter, clean water, nutritional food, healthcare, education, and more. As Jackie continued to research on their website, she discovered the opportunities they had to go on a mission trip. Neither she nor her husband had ever been on a mission trip, so they decided to take the first step and see if this is really what God was calling them to do. They embarked on a 6-day trip to Haiti with Coreluv, and it was all the confirmation they needed. Neal and Jackie were excited to be a part of helping Coreluv with their vision and hope to continue to do so. Jackie expressed how interactions with Coreluv’s leadership and mission teams gave them the confirmation and encouragement they needed to move forward into missions. The focus of their newly founded organization is healthcare and developing the systems needed to provide and sustain overall good health, including access to medical care, nutritious food, clean water, and health education. Through Mpact for Mankind, they also plan to assist Coreluv in their missions to Haiti. MPACT FOR MANKIND’s mission is to transform communities by improving health outcomes, enhancing knowledge, and promoting sustainable development. Their vision is to live in a world where every individual has the resources needed to live life to it’s fullest potential regardless of ethnicity, gender, or socioeconomic status. Jackie informed us that the MPACT FOR MANKIND website (www.mpact4mankind.org) is currently being developed and should be up by the end of December. We at M3 absolutely love hearing these beautiful stories about how M3 has helped people “connect with others, be inspired, and find their mission.” We hope that will be you this year! If you haven’t already, click here to register for the 2018 M3 Conference on February 23 & 24. You don’t want to miss it! Use promo code SPREADTHEWORDM318 to receive $5 off your registration.